One of the many bushfires that beset New South Wales this month, purportedly ignited by lighting in the Warrumbungle National Park on Saturday 12th January 2013, has over a week later burned out over 54,000 hectares. 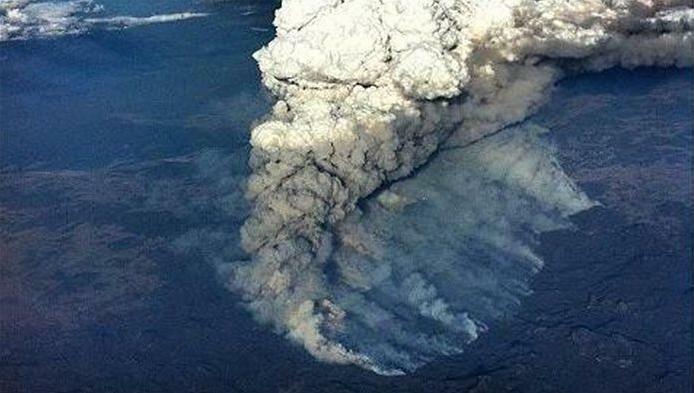 since the ignition occurred in the vicinity of the Wambelong Creek inside the national park. Once again it seems that the remote location of the ignition prevented immediate response by a predominantly truck-based bushfire management organisation dependent upon volunteers. The forecast bushfire weather last month was for this month to be extreme and worse, ‘catastrophic’ in inland and southern New South Wales. Temperatures were forecast to be in the 40s Celsius and with some regions expected to have strong winds. The bushfire risk was known. The Rural Fire Service warned the public of the risks of bushfire across the state. However, the publicised information is spatial with the maps, and the following pertinent facts for this ‘Wambelong Fire‘ , a classified ‘Major Fire‘ have not been published. Initial fire-fighting resources deployed in first day/second day.. If the public was provided with such information for each bushfire, taxpayers would begin realising the immense triple bottom line costs of bushfires (economic, social and ecological) and accept that more needs to be done about resourcing bushfire fire-fighting in order to mitgate bushfire substantial, destructive and long-term impacts. MAJOR FIRE UPDATE AS AT 21 Jan 2013 07:11: A 53,000 hectare bush fire is continuing to burn in the Warrumbungle National Park to the west of Coonabarabran. 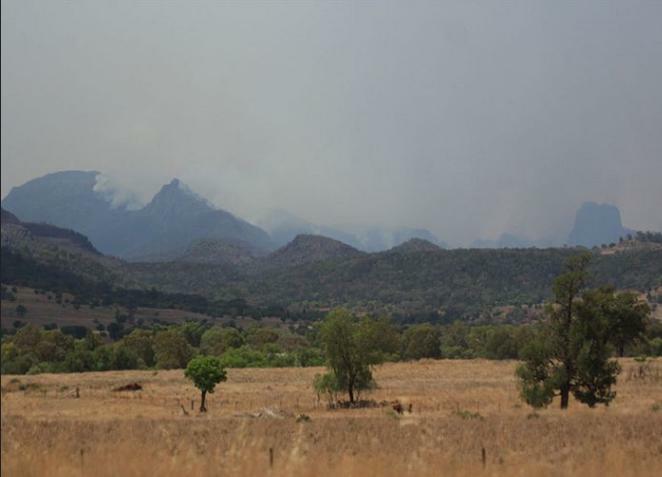 <<A 53,000 hectare bush fire is continuing to burn in the Warrumbungle National Park to the west of Coonabarabran. The bush fire is burning in the Bugaldie area, 1km south of Bugaldie village, 8km west of Coonabarabran and 5km north of the Tooraweenah township. Crews will spend today backburning along Mt Terrace Road. People in the area may see an increase of smoke and fire activity as a result. Rainfall across the area has reduced fire activity on the fireground, this is helping firefighters work to contain the fire. 53 properties, 113 outbuildings, livestock and farm machinery have been destroyed as a result of this fire. Continue to monitor the situation and follow your Bush Fire Survival Plan. Keep checking www.rfs.nsw.gov.au, listen to local radio or by call the NSW RFS Bush Fire Information Line on 1800 679 737. For information on road closures check http://livetraffic.rta.nsw.gov.au. Roads may be closed without notice. For information on national park closures, please visit the National Parks and Wildlife visitor website. NSW Police and the Ministry for Police and Emergency Services are coordinating the recovery effort. Details of assistance can be found online at www.emergency.nsw.gov.au or by phoning the dedicated hotline number on 1800 018 444. Counselling and Chaplaincy services are also on hand to provide assistance to residents. A Disaster Recovery Centre is open 7 days a week from 8am-6pm. The centre is located at Coonabarabran Town Hall Supper Room on John Street. The Australian Government delegates management of national parks across Australia to the respective state governments. It is not working. State funding has been slashed and State governments’ interest in national park conservation are wanting and falling well short of 21 Century community expectations. The current and disturbing retrograde trend is seeing most state governments treating national parks under their care as tourist and recreational resources that in the case of bushfires are but a costly burden and expendable. 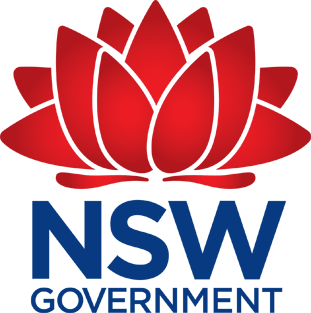 In New South Wales the authority charged with ecological conservation and protection of all national parks across New South Wales is the State-based NSW National Parks and Wildlife Service (NPWS) , which currently a diluted division with the Department of the Office of Environment and Heritage. The NPWS has an operational section that deals with bushfire management in national parks and works in co-operation with the RFS, a largely volunteer force sourced from local communities. The coalition of the RFS and the NPWS in NSW function with a joint delegated responsibility and accountability for bushfre management in national parks and reserves across NSW. Closed areas: Park closures will remain in force for this park or reserve for the next several days. Park closures and bans will be reviewed at 14.00hrs each afternoon. Clearly, the combined management of the NPWS and the RFS in respect to bushfire fighting in the Warrumbungle National Park has been an abject failure. Most of the magnificent Warrumbungles have been incinerated. No information about the extent of the burning through the national park itself is provided by the NPWS or the RFS. Only the total 54,000 or so aggregate area, which includes farmland and rural property, has been reported. This bushfire is yet another example of the national parks not being respected a conservation assets to be protected from burning like human life and property. Just last October 2012, the Oxley Wild Rivers National Park was largely burnt out during the bushfire labelled as the ‘Macleay River Fire’ which burnt out 59,663 hectares. Responsible agency was the Rural Fire Service. Before that in August 2012, the Blue Mountains World Heritage Area, the NPWS deliberately started a broadscale hazard reduction burn deep into the Grose Wilderness well north of the township of Springwood. The fire escaped containment lines as the wind picked up and burnt out 5,000 hectares of protected natural World Heritage vegetation, before threatening the community of Bowen Mountain Park. In the Warrumbungles, the ignition on 12th January was allowed to whip up into a fire front that become uncontrollable; “absolutely ferocious” according to Rural Fire Service deputy commissioner Rob Rogers. But was it ferocious in the first hour of being ignited on 12th January – probably not. We’re RFS resources already stretched? Probably. The bushfire under extreme weather conditions has ended up not only incinerating the majority of the Warrumbungles National Park, but has subsequently destroyed over 53 homes, more than 113 outbuildings, livestock, kilometres of fencing, pasture and agricultural machinery in the Coonabarabran area, as well as several buildings at the Siding Spring Observatory, Australia’s national astronomical observatory. What National Park ecological values have been incinerated? The Warrumbungle National Park forms a vital part of the Brigalow Belt bioregion which otherwise has been largely deforested over two centuries of colonisation, leaving just the Warrumbungles natural for any remnant dependent biodiversity. 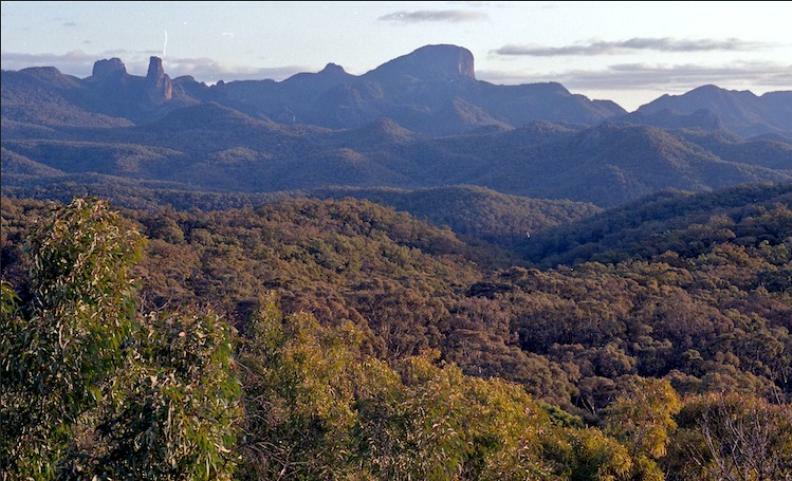 The affectionately named ‘Warrumbungles‘ support woodlands dominated by blue-leaved ironbark (Eucalyptus fibrosa), scribbly gum (Eucalyptus rossii), black cypress pine (Callitris endlicheri), whitewood (Atalaya hemiglauca) and rough-barked apple (Angophora floribunda) found on stony sandstone plateau and its streams. Silver-leaved ironbark (Eucalyptus melanophloia), spotted gum (Eucalyptus maculata) and smooth-barked apple (Angophora costata) occur on stony hills in the north of the bioregion. Narrow-leaved red ironbark (Eucalyptus creba), white cypress pine (Callitris glaucophylla), red stringybark (Eucalyptus macrorhynca), patches of mallee (Eucalyptus sp.) and broom heath (Melaleuca uncinata) occur on gentler sandstone slopes. There are 3 endangered ecological communities within the bioregion listed under Schedule 1 of the TSC Act. These are the semi-evergreen vine thicket Cadellia pentastylis (poline or scrub myrtle) and carbeen open forest communities. The bioregion is important for the long-term viability of these vegetation communities which are predominantly found here, with a small area lying in the Nandewar Bioregion. The carbeen open forest communities are now restricted to the Brigalow Belt South Bioregion and very limited areas of the Darling Riverine Plains Bioregion. Benson (1999) notes brigalow, box woodlands and plains grasses as the most threatened plant communities in the bioregion. The grassy white box woodland community also occurs in this bioregion. 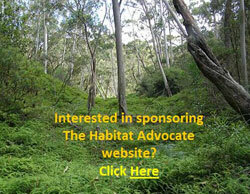 It is nationally endangered and protected under the EPBC Act 1999. At a species level there are 4 endangered and 12 vulnerable species listed in the schedules of the TSC Act. Records within the bioregion tend to be concentrated in the major reserves and forests of the bioregion such as Goonoo State Forest, the Warrumbungles, Mt Kaputar and the Pilliga. What has been the bushfire’s impact on the Significant Fauna? Few faunal studies have been conducted by the NPWS in the Warrumbungles, so the pre-bushfire faunal population is little known. <<Although few systematic surveys have been conducted in the bioregion, records from a variety of surveys can be used to illustrate the vertebrate fauna of the bioregion, which consists of 18 amphibian species, 68 reptiles, 281 birds and 82 mammal species. Many of these species are considered threatened, including the endangered malleefowl (Leipoa ocellata), for which the bioregion contains important habitat, and the vulnerable koala (Phascolarctos cinereus) which has important populations in the Warrumbungles, the Pilliga and the area around Gunnedah (NSW NPWS 2000a). In this bioregion the tree species often selected by koalas include Blakely’s red gum, river red gum and white box, while pilliga box, poplar box, narrow-leaved ironbark and rough-barked apple are occasionally used for food (NSW NPWS 2000a). Another significant mammal species in the bioregion is the vulnerable eastern pygmy possum (Cercartetus nanus) which has a very patchy distribution, with more than 10 records of the species known from each of only 5 locations in NSW, the Pilliga State Forest being one of them (NSW NPWS 2000a). The birds of the bioregion are highly diverse, mainly consisting of tropical woodland species and comprising the largest number of Australian resident species of any bioregion. There are no major populations of rare or threatened birds in the bioregion and although many birds within the bioregion have restricted ranges, none is endemic. Exotic species are low in numbers and those present are located mainly around towns. Although bird species diversity is high relative to other NSW bioregions, the Brigalow Belt South Bioregion has experienced major declines in ground-nesting, ground-feeding insectivorous and grassland birds, a trend common to many parts of Australia. An increased reporting rate in the bioregion’s rainforest and temperate forest taxa may reflect greater survey effort in these habitats. Reduction of bird diversity in habitat fragments and the continued loss of woodland and freshwater birds seem to be the prediction for the future. However, there was an increase in the numbers of mallard (Anas platyrhynchos), cattle egret (Bubulcus ibis) and the common myna (Acridotheres tristis). 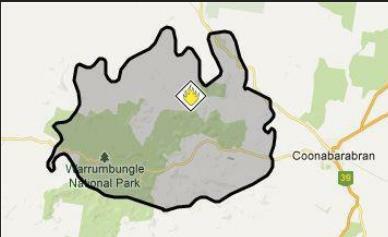 Apparently 80% of the heritage listed Warrumbungle National Park has been destroyed by this fire. In anyone’s terms, 80% loss is an abject failure of fire-fighting. The circumstance of this ‘Wambelong Fire‘ has similarities to the McIntyre’s Hut Fire which in January 2003 started in remote national park, was left to burn because it was difficult to attack and was not immediately threatening houses. 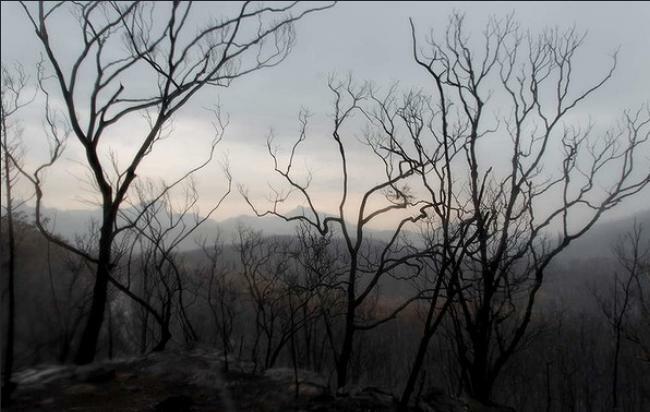 Ten days later it coalesced with other fires and became the infamous Canberra Firestorm where four people perished. This ‘Wambelong Fire‘ also has similarities to the Gross Valley Fire of November 2006 in the Blue Mountains, which started on a remote Burra Korain Ridge, was similarly left to burn because it was difficult to attack and was not immediately threatening houses. Ten days later it coalesced with another fire and incinerated over 14,000 hectares of the magnificent Grose Valley including the iconic Blue Gum Forest. By 15th January this year, the RFS faced over 170 identified bushfires raging across the State and over 485 million hectares of bushland, national park and farmland have been destroyed by the bushfires. RFS fire-fighting resources were unquestionably stretched. An aerial photo of the Wambelong Fire (Warrumbungle NP) smoke plume travelling 14km up into the atmosphere. Yet the NSW Government wants to cut Bushfire Fighting Resources ? The current New South Wales Government Treasury has demanded that the NSW RFS cuts costs of $11.7 million over four years, yet expects front line fire-fighting to meet community expectations of bushfire protection and suppression. The current RFS resources cannot cope with current bushfire emergencies with what they’ve got, let alone to achieve the same fire-fighting outcomes with less resources. How absurd, irresponsible and negligent! In the face of known major bushfire emergency risk impacting the State of New South Wales and causing widespread destruction, the NSW Government by cutting resources to its sole emergency response agency and one already chronically under-resourced, is a callous abrogation of the NSW Government’s fiduciary duty to the people and assets of New South Wales. Under catastrophic bushfire weather conditions, the NSW Government will be deliberately and unacceptably exposing rural New South Wales to catastrophic bushfire risk and disaster and opening the government to substantial civil class actions, yet more bushfire enquiries with damning reports, if not individual criminal prosecutions for the implicated Ministers and Premier. <<With a bad season forecast, rural firefighters worry budget cuts may threaten property and lives, writes David Humphries. For 50 of his 71 years, Brian McKinlay has been fighting bushfires or doing his utmost to prevent them. He was a brigade captain at Hornsby in 1970 and has been a group captain overseeing several brigades (mostly in the Hawkesbury) for the past 30 years. A man not given to hysterical outbursts, right now he’s hot under the collar. And the brushfire he’s helping to fan as president of the Rural Fire Service Association – covering the 70,000 volunteers who make the RFS not only the world’s biggest fire service but also one of its higher-rated emergency services – threatens to spread on fronts across NSW. In the process, firies hope to shake the O’Farrell government from the slumber of a cost-cutting policy that looks, when stripped bare, like penny-pinching, but which would burn more than political fingers if predictions of a horror bushfire summer are realised. But why such anxiety? First, some recent history. State government revenues are in a pickle because receding consumer confidence and other factors have driven down goods and services tax (GST) receipts, and because other state sources such as property taxes are weak. The government’s labour bill is judged to be too high and a 1.1 per cent haircut was ordered across departments and agencies, with police the one exemption. At the RFS, that converted to the fire chief, Shane Fitzsimmons, this month inviting staff to apply for voluntary redundancy. He’s said to want 120 departures from the 900 RFS staff – about one in eight. Well, that’s that, then. We can all sleep soundly. But not quite. Assurances about not affecting “front-line” services are par for the course in such announcements. But the RFS is all about front-line services; they are its purpose for existence. If any job at the RFS was not directed at bolstering the bushfire fighting capacity and effort, what was it doing there in the first place? “Seventy per cent of RFS staff are also volunteers or have been volunteers,” McKinlay says. “They have a great understanding of the system. They’re not in there just for the job. If this was an efficiency drive targeting waste and inadequacy, let the government say so. Instead, it’s dressed up as fiscal imperative. And that’s where we find the big sting. The RFS and other emergency services – the Fire and Rescue Service (the metropolitan fire brigades) and the State Emergency Services – are not funded like other government agencies. Their budgets comprise mandated contributions: 14.6% from the state, 11.7% from local government and 73.7% from insurance companies. In other words, when the RFS talks about labour savings of $11.7 million over four years, the state government benefits by just $1.7 million, or about $427,000 a year. So a one-size-fits-all policy, projected to the public as budget trimming, delivers to that purpose just a seventh of the promised pot. Most of the saving goes to insurance companies, which are under no promise to pass any savings to policy holders. Indeed, the insurance lobby – now joined by the Shires Association – has been pressing for at least a decade to have the emergency services funding formula scrapped and replaced by a levy on properties, despite 6 per cent of NSW ratepayers already defaulting on rate demands they claim they cannot afford. The NSW Treasury has hinted at sympathy for this switch and has begun formal talks on options. One emergency services insider told the Herald this week “the smoke and mirrors” artificial saving to government was regularly pointed out to ministers and backbenchers but this had not shifted government sentiment. The Rural Fire Fighting Fund – the RFS budget – dropped this year from $271 million to $263 million. The government share was $38.5 million. It was the first time in 14 years that RFS funding fell. In that time, funding nearly quadrupled and rose on average by about 13 per cent a year. That’s because nothing quite focuses government minds like disaster and the prospect of it. To be caught fiddling while the state burns is political folly of extraordinary arrogance or stupidity, akin to driving an unregistered car with dodgy brakes. And here’s a spooky thought. For the past 70 years, these conditions prevail about every 10 years. The last two occasions were in 1994-5 and 2001-02. In the former, four people died and 225 homes were damaged or destroyed. The senior deputy state coroner, John Hiatt, investigated for 1½ years. His report became the basis for the 1997 Rural Fires Act and the modern RFS, with its single command and control structure replacing the disjointed previous regime of local governments effectively running their own brigades with all that meant for under-resourcing, incompatible communication systems and lack of clarity about who called the shots. Some brigade tankers were built around 1930s flat top trucks, lacking speed, protection and cross-country endurance. What followed was a massive re-equipment program – involving 2500 new tankers and communication upgrades – as well as volunteer retraining and the professionalisation of RFS management. By the summer of 2001-02, Sydney again was under fire. This time, however, we were better prepared. One hundred and 20 homes were lost or damaged but no lives were lost and the city’s outer defences were not breached, as they were six years earlier and as they would be with Canberra in 2003. These aren’t improbable scenarios for Australia’s biggest city. With national parks to the south, west and north, much of Sydney is built on sandstone shelves that keep bushland root systems shallow and thus vulnerable to intense burning. Meanwhile, instead of the NSW Government quickly and responsibly coming to the financial and humanitarian assistance of residents who have suffered directly from this ‘Wambelong Fire‘, and in many cases lost everything as a result, the local Warrumbungle Shire Council has set up the Warrumbungle Shire Mayor’s Bushfire Appeal and is appealing for donations from members of the public who wish to assist. State Government disinterest, under-resourcing and disregard for bushfire emergencies is disgusting. <<The Blue Mountains District sent several crews of volunteers to fires in western and southern areas of NSW last week. A strike team of five trucks, 22 volunteers and team leader Duncan Allan travelled to Coonabarabran on Sunday morning, January 13 where 51 properties were lost in one of the worst NSW bushfires in a decade. (Ed: If these fire fighters were paid NSW Fire Brigade members, each would have been compensated thousands for their efforts in earned pay and award entitlements under The Crown Employees [Fire and Rescue Permanent Firefighting Staff] Award 2011. This is how our governments with ‘other’ priorities save money). Several other Blue Mountains RFS volunteers and staff assisted the Incident Management Team, and a team from the Police Rescue also attended. Strike team leader Duncan Allan said the group returned to Katoomba RFS district headquarters on January 18 very tired but satisfied after five tough days helping communities near Coonabarabran. “It was a sizeable and complex fire over there and by the time we’d left, the perimeter of that fire was about 100km,” he said. “It covered both national parks and private farmland and there was also a smaller fire burning further north of the main fire front. Our strike team consisted of brigade members from Glenbrook, Blaxland, Warrimoo, Linden and Woodford and our role was in maintaining the control lines at the southern end of the fire. “It was pretty hot conditions and we didn’t get much sleep, but we got to meet some of the local rural brigade members in the Coonabarabran region which was good. Air operations specialists from Blue Mountains District left for the town on January 19 (Ed: a week after the fire started) and a remote area fire team, airbase operations and air radio operations specialists were despatched to Cooma where another major bushfire struck. Other Blue Mountains RFS volunteers helped with fighting a bushfire in Wollondilly. After a welcome return to cooler and more humid conditions in recent days, most of the fires are no longer threatening property and some are only under ‘patrol’ status now. In a statement on its Facebook page last weekend, Blue Mountains District RFS said “the effort and commitment put in by our volunteers has been amazing and is very much appreciated by our colleagues in these areas.” (Ed: Compulsory government spin to supplant genuine compensation – i.e. money). This fire has now burned out 56,281 ha, just like Macleay River Bushfire in Oct 2012! LOCATION: Broadly bounded by roads linking Coonabarabran, Bugaldie and Tooraweenah. 1km south of Bugaldie village, 8km west of Coonabarabran, western boundary entrance to Warrumbungle NP, 5km north of Tooraweenah township, 2km from Newell Highway (east of Tooraweenah). Siding Spring Observatory is near the centre of the burnt area. [Source: New South Wales Rural Fire Service, Current Fires and Incidents, Wambelong WNP Bushfire, ^http://www.rfs.nsw.gov.au/dsp_content.cfm?cat_id=683], accessed 20130129, note this information is routinely deleted by the RFS so will shortly not be available to the public. It’s called hiding the truth). This entry was posted on Monday, January 21st, 2013	and is filed under Threats from Bushfire. Thank you for this. I too would like to see some facts about the cause and strategies for managing this fire. Most of our property ‘Wheoh’ became the northern side of the National Park. We have lived on a small block (56 acres) bordering the park, also known as Bugaldie Gap since 1976. Our house was built on a small rise in a grove of E. Rossi and was the 56th house destroyed by the fire. Although there have a been a number of small fires in the park in the last 40 years, I was responsible for one that burnt for 2 weeks in September 1976. No one cared much about it then and it did very little damage because it was a ground fire not a crown fire like the Wambelong fire. The park stopped burning in the mid-1990s. The retrenched fire officer warned about the consequences. I fear for so many of the species but will do my best to document what I see coming back. Thank you for your feedback Chris. I sense as a long time local, you have a genuine interest in bushfire management just as you value your rural property’s proximity to the Warrumbungles ecology. Bushfire mitigation has been dumbed down on the basis of cost by our discretionary government. Blanket broadscale hazard reduction burns are low cost, yet immensely destructive, frequently get out of control, and end up crowning anyway causing just as much vegetation damage as a wildfire – yet this has become the dumped down modus operandi of the RFS and NPWS. Small ground level detached mosaic burns, respectful of ecological sensitivity, is dismissed by both RFS and NPWS, due to ignorance and cost, respectively. Government has also allowed zero bushfire mitigation for many years in natural regions like the Warrumbungles, to save money. The inability to detect remote igitions, to arrive on site and suppress such ignitions effectively, means that outside a familar urban and farmland landscape accessible by their fire trucks, the RFS is basically useless. The RFS may as well be wound up as an organisation and the NSW Fire Brigade expanded, with a reserve corp – as the modus operandi would be no different, though the higher professionalism and greater resources would no doubt deliver improved fire-fighting performance and less fire damage. The 56,000+ hectares burnt is a gross failure of rural fire fighting. Had it ravaged an urban area, it would have been declared a holocaust. Ecologically, the bushfire devastation across NSW, Victoria and WA is an Ecological Holocaust in progress. 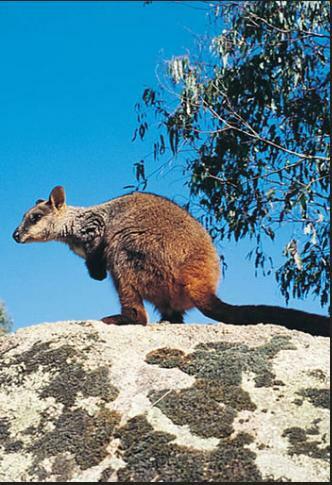 Ecological and wildlife values mean squat to the RFS and NPWS when it comes to bushfires.